No one buys individual water bottles anymore. It’s not practical, nor is it environmentally friendly. Not to mention you can save a lot more money by buying water by the gallon and reusing a few large plastic or glass jugs. Then, you can either have water bottles delivered to your home on a regular basis, or refill them at one of our conveniently located 24 hour water vending machines. Urban Oasis vending machines allow for differently sized-bottles to be refilled. 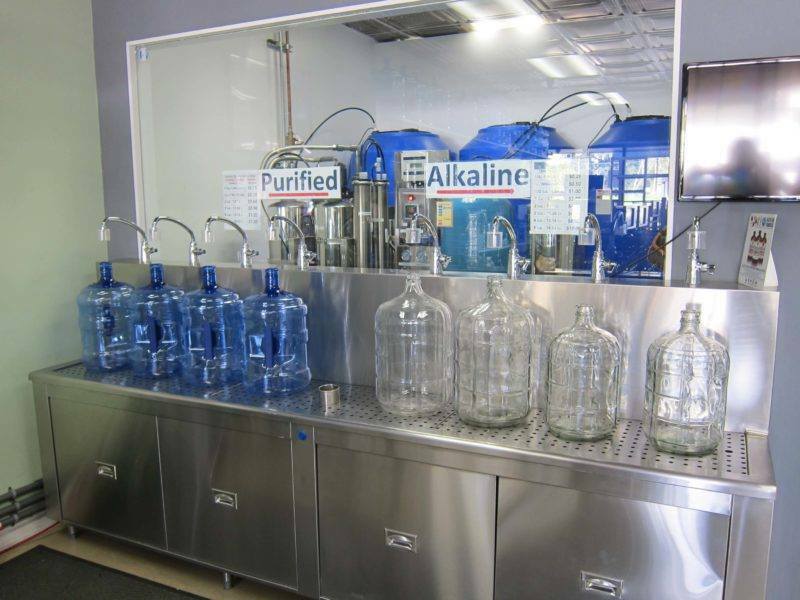 Our stations can dispense alkaline water in one, three, and five gallon amounts. This means that you can fill up nearly any bottle up to five gallons! Not to mention you can use both plastic and glass bottles in any of our dispensers. According to California law, water dispensers must be sanitized on a monthly basis. As Urban Oasis we don’t think that’s enough, which is why we make sure to tend to our machines every week. 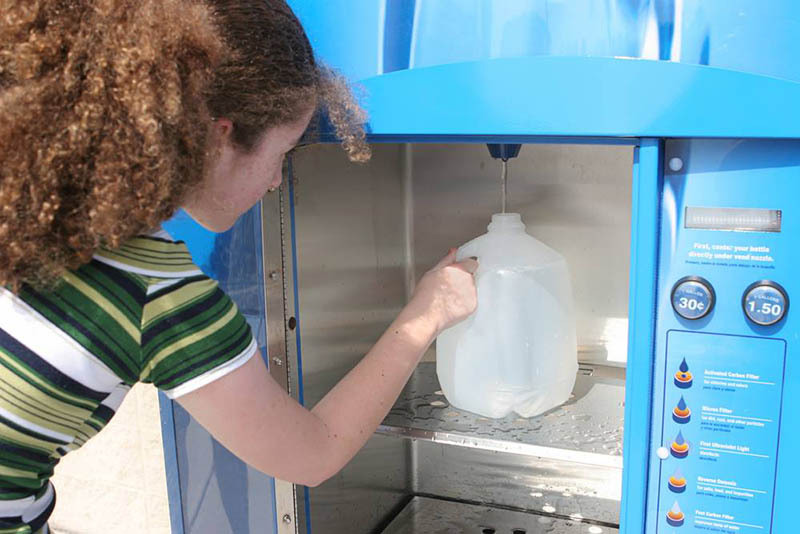 That’s right, our water vending machines are subjected to weekly sanitation. But we don’t stop at simply sanitizing our machines. We want to confirm that the water you’re getting is going to be the best possible. That’s why once the dispensers are clean, we test the water itself to make sure it’s optimal for your consumption. Our commitment to pure, clean water knows no limits! We have a variety of payment options at our water vending machines. You can pay with cash or with any major credit card. No more desperately searching for loose change to refill your water bottles. We want the experience to be as convenient for you as possible. Our biggest concern here at Urban Oasis is water quality. Upon researching several different water services around Los Angeles, we found there is often a disregard for basic regulations. Our independent testing allowed us to discover that a lot of vending services don’t replace their filters nearly as often as they should. This means that you’re pretty much paying for tap water. That is not something you have to worry about when it comes to Urban Oasis. We make sure that you only receive the best water when using our vending machines. You can trust us to deliver the best possible product in the most convenient manner.